For us, our Facebook pages are so much more than just another avenue of advertising. For us, it’s about looking back on the day of paintballing just been, looking forward to what’s coming up, sharing great opportunities and competitions for our customers and giving our players a conduit for sharing their stories, photos and comments as well. 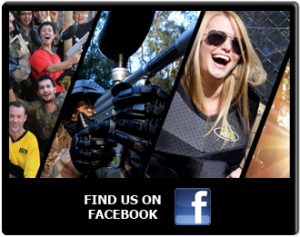 Our awesome paintball fields might be the heart and soul of the amazing Delta Force experience, but it’s our customers that are the lifeblood which keeps the whole thing pumping. Our Facebook pages help to bring all that into a single forum and strengthen our Delta Force family.